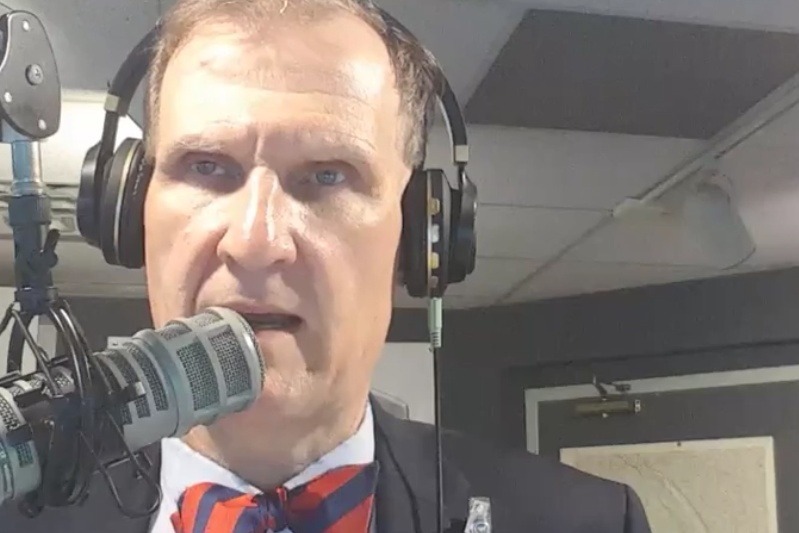 I have been on the air for six years in Chattanooga, defending godly concepts such as marriage, free markets, God's law, the rights of the people, property, the certainty of law, equity as a principle, the claims of the Good News of Jesus Christ upon not just the individual, but upon society as awhole. Its courts, its economy, its medium of exchange, its legislatures — all are subject to God. By way of radio I press officials to reform — or at least talk about reform. So vigorous is my analysis that officials love me and hate me at the same time. "Whatever he tells you, don't believe him," Mayor Andy Berke of Chattanooga said, "he's not a member of the media." As a member of the Tennessee free press, I have consistently defended a godly social order from a biblical perspective and done so on a commercial radio station — the city's CBS Radio News and Sean Hannity affiliate. So faithfully have I served this show— and the ideas of Christian reform and constitutional government in Chattanooga — that I have become half owner of the company, a truly wonderful reward. With great cheer, the station hails me as "the blogger with the biggest pen" in and "the smartest guy with a bow tie." What hilarity, what fun I have at the microphone; what a local character my show makes me as I take to the air every weekday at 1 p.m., between the local news and Sean Hannity. People at the store sometimes recognize me, much to my surprise. 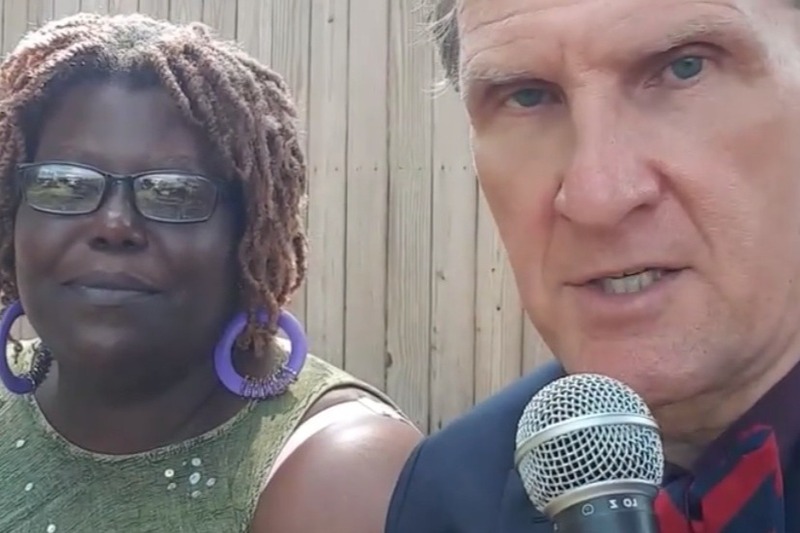 David interviews Annette Thompson, whose son Unjolee Moore is under a life sentence but whose prosecution was marred by prosecutorial and police misconduct. But now I would like your help in paying for my show. The money I raise by your help will pay the radio station, 92.7 FM NoogaRadio (Hot News Talk Radio LLC), for my expenses. My show is heard on two stations, actually. The second one is 95.3 FM HD4, a digital signal reaching a 120-mile radius around Chattanooga. The David Tulis show — serving my listener. One city. One purpose. Two stations. Hot News Talk Radio does not charge my for my airtime because it knows I bring listeners and create advertiser value. But I ask you to affirm my daily show so I can give back. Support and sponsor my argument, my aggressive reporting, my calls for reform that all kinds of people support, whether liberal or conservative, Democrat or Republican, left or right, whether it be cash bail reform or Title 55 police powers reform. I argue for "Noogacentrism" and localism, a whimsical theory about the need of people to turn to more active living in local economy. By using my arguments, we the people — one person at a time, under God's providence — "take back" our city from its erstwhile caretakers, and encourage the listener to pursue prosperity, freedom and blessings for neighbors and the poor and oppressed. Thank you, sir, or ma'am, for your support. 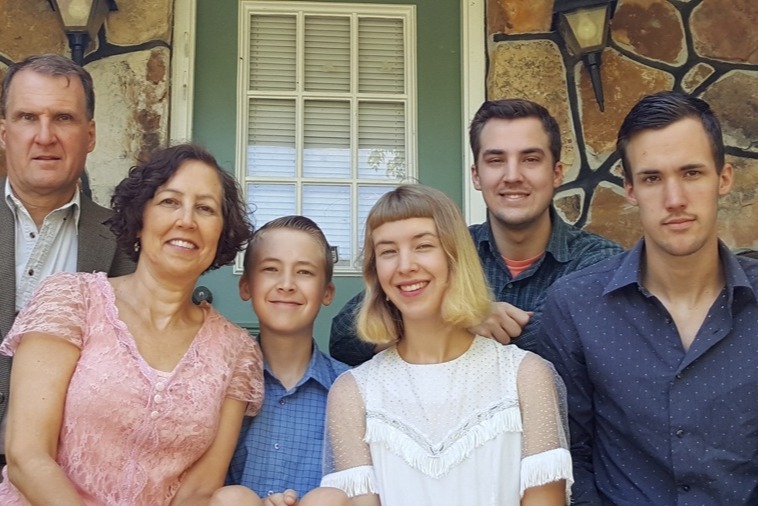 David Tulis, his wife Jeannette and their four children; from left, Jacob, Abigail, David and Josiah at their house in Soddy-Daisy, Tenn., just north of Chattanooga.